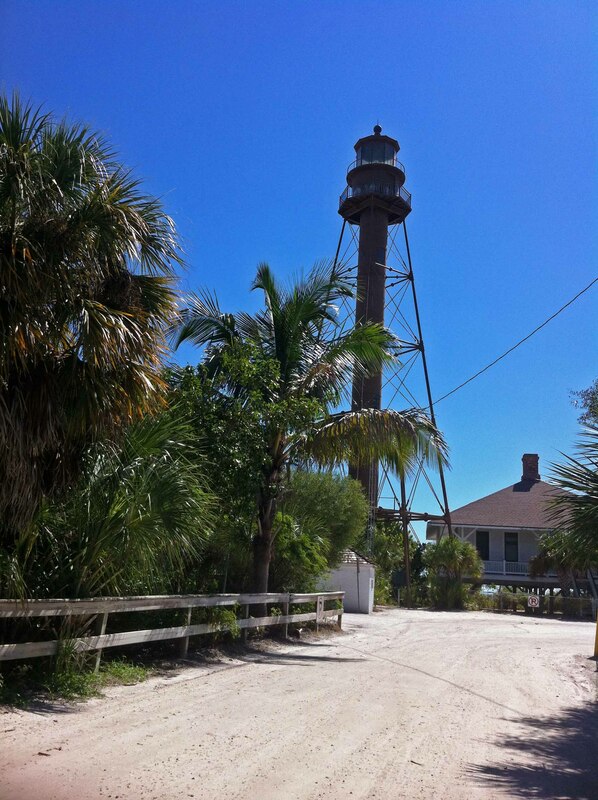 It has been another busy week on Sanibel and Captiva Islands. With the Shell Fair in full swing today and again tomorrow, the islands are hopping. 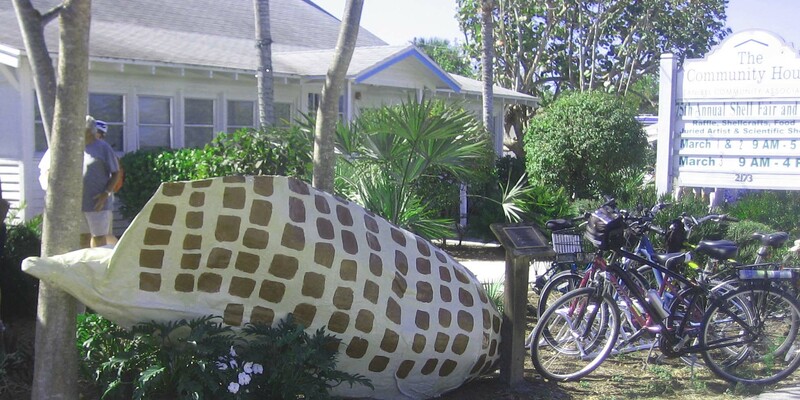 How about this big junonia shell that is welcoming visitors to Sanibel’s Community House for the big event? It was made for the Guinness World-Record Sanibel Stoop which kicked off the multi-day festivities. Being the 75th year of the Shell Fair and Show has brought many first time visitors to the islands. SanibelSusan Realty gladly again this year is one of the prize sponsors. 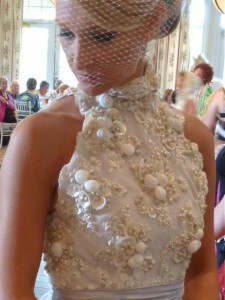 During the Shellebration 2012 Fashion Show at The Sanctuary on Monday, this hand-sewn wedding gown embellished with shells was the featured attraction and it won first prize too. Other fashions, all in shell motif, were on the runway during this first-time luncheon event. 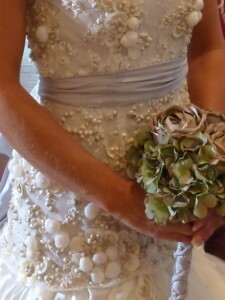 Even the bride’s flower girls had shells adorning them from their headpieces to their flip-flops. With the extra traffic, we even saw a “long wait” for lunch yesterday at Doc Ford’s. That had not happened yet this year, but could be the norm from now until the end of high season in five weeks. 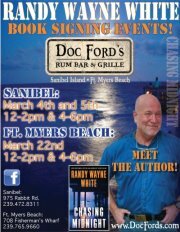 Speaking of Doc Ford’s, if you are on the island on Sunday or Monday, you can meet best-selling author Randy Wayne White who wrote the books about Doc Ford. He will be autographing copies of his latest book “Chasing Midnight!” at the Sanibel restaurant on March 4 and 5 and at Doc Ford’s Fort Myers Beach on March 22, from 12-2 p.m. and 4-6 p.m. on all three dates. 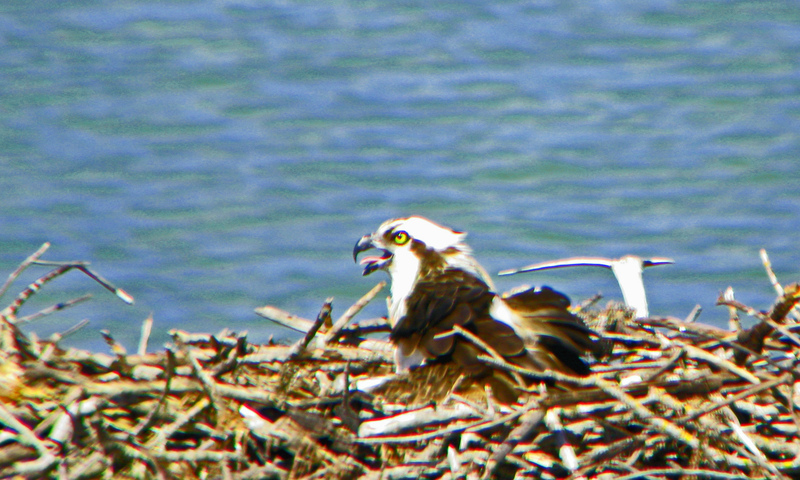 On the real estate front, son David took the above photo during a home inspection on the bay on Wednesday. Sometimes the benefits of living and working on Sanibel are in the little events like this. The good news about island real estate is that we finally are seeing more sales than new listings. As of today, there are 255 Sanibel condos for sale, with 22 sold/closed this year, and another 26 condos under contract awaiting closing. Average time on market is still well over a year. Average condo sale price to-date is $667,690 compared to last year at $591,861. Don’t read too much into that increase though, as the units currently under contract are priced significantly less. It takes about six months before the averages have much meaning. Homes continue to move a tad better, with 236 Sanibel homes for sale, 33 sold/closed homes this year, and another 42 under contract. Of the homes sold and under contract, the average time on the market is around nine months, significantly less than condos. Average Sanibel home price to-date is $830,144, compared to last year at $826,130. The prices of the homes under contract are less too, so like condos, these averages will make more sense in another couple of months. There are 103 Sanibel lots for sale, 5 sold/closed this year, another 3 are under contract. Those that sold were relatively new to the market. The existing inventory averages over two years for sale. On Captiva, sales have not been as brisk and prices are just beginning to get down to where they should be to get the inventory moving. With 67 condos, 60 homes, and 10 lots for sale on that island, the 4 condos and 7 homes that have sold are just a drop in the bucket. Here is an upbeat article that was posted on Florida Realtors® yesterday. “Warren Buffett, the billionaire investor and Berkshire Hathaway CEO, said on CNBC’s “Squawk Box” recently that he’d “buy up a couple hundred thousand” single-family homes if it was practical. Buffett said that’s because he believes purchasing a home with ultra-low mortgage rates and holding it for the long-term has become a better investment than stocks right now. “Housing will come back, you can be sure of that,” Buffett wrote in his annual letter to shareholders recently. The Miami Herald posted the following article yesterday. It is not quite as upbeat, but probably an accurate reflection of the state overall. “Florida’s real estate recovery no longer gets rave reviews from the Federal Reserve. The latest Fed Beige Book, which analyzes regional economies across the country, suggested Florida was missing out on some of the momentum behind the nation’s real estate market at the start of 2012. 6 new listings: Sundial #F407 1/1 $297.5K, Sanibel Arms West #J1 2/2 $439K, Loggerhead Cay #121 2/2 $750K, Sundial #E108 2/2 $875K, Sundial #E305 2/2 $879K, St. Croix 2/2.5 $895K. 10 price changes: Captains Walk #D3 1/1 now $150K, Lake Palms #9 2/2.5 now $217K (short sale), Lake Palms #7 2/2.5 now $269K, Sunset South #1B 2/2 now $564K, Compass Point #213 2/2 now $569K, Sanddollar #B104 2/2 now $955K, Snug Harbor #113 2/2 now $985K, Compass Point #181 2/3 now $1.099M, Seascape #105 3/3 now $2.195M, Sedgemoor #101 3/3.5 now $2.399M. 4 new sales: Sanibel Arms #G2 gulf-front 1/1 listed for $395K, Sanibel Inn #3534 2/2 listed for $495K, Nutmeg Village #211 2/2 listed for $539K, Sundial #T403 2/2 listed for 598K. 3 closed sales: Sundial #S301 3/2 $619.9K (our sale), Gulf Beach #207 2/2 $665K, Signal Inn #18 2/2 $844.5K. 1 new listing: 9020 Mockingbird Dr 3/2 $725K. 12 price changes: 2621 SanCap Rd 3/2 now $275K; 585 Lake Murex Cir 3/2 now $599K; 1001 Lindgren Blvd 3/2 now $654K; 5820 Pine Tree Dr 2/2 now $674.9K; 1339 Par View Dr 3/2 now $685.5K; 1511 Angel Dr 2/2 now $724K; 3861 Coquina Dr 3/3 now $729K; 919 Almas Ct 3/2.5 now $1,199,999; 760 Periwinkle Way 3/2.5 now $1.449M; 4809 Tradewinds Dr 3/3.5 now $1.495M; 3864 West Gulf Dr 4/5.5 now $2.188M; 3441 West Gulf Dr 5/4/2 now $5.75M. 8 new sales: 535 Piedmont Rd 3/2 listed for $387.5K, 555 Chert Ct 3/2 listed for $379K, 761 Nerita St 3/2 listed for $465K, 1284 Par View Dr 2/2 listed for $549K, 207 Daniel Dr 3/2 listed for $569K, 3061 Poinciana Cir 3/2 listed for $698K, 836 Sand Dollar Dr 3/2/2 listed for $1.199M, 1191 Bird Ln 4/3 listed for $2.195M (short sale). 3 closed sales: 4291 Gulf Pines Dr 3/2.5 $510K, 994 Whelk Dr 2/2 $550K, 1019 Lindgren Blvd 3/2 $690K. 2 price changes: 2423 Blue Crab Ct now $329.9K, 4771 Rue Helene now $496K. 1 closed sale: 847 Casa Ybel Rd $112K. 1 new listing: Sunset Beach Villas #2318 2/2 $599.9K. 1 price change: Bayside Villas #4322 3/3 now $520K (short sale). 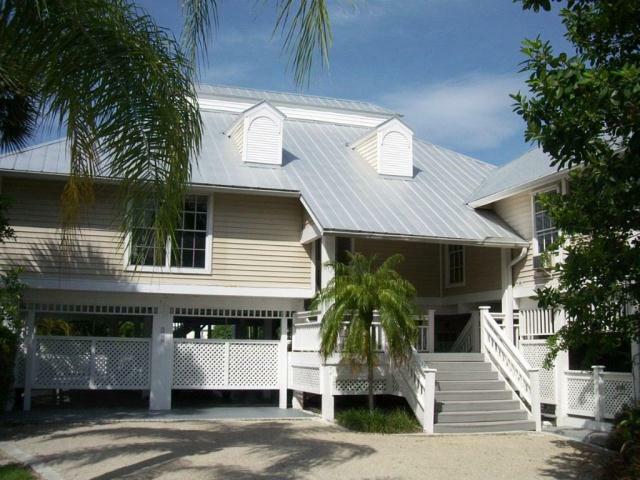 1 new sale: Captiva Hide-A-Way #1D 2/2 listed for $600K. 2 new listings: 11531 Paige Ct 3/3.5 $3.75M, 16221-17 Captiva Dr 5/5 $4.945M. The SanibelSusan Friday blog is posted a little early this week, as now through Sunday are the Florida Realtors® Mid-Year Business Meetings. These are our state leadership kick-off events for what is expected to be a terrific year. For 2012, I am happy to be part of the “Resort & Second Home Specialists Forum” and the “Professional Standards Forum”. 2. The Island of Bali, in Indonesia. Last Saturday, our Sanibel & Captiva Islands Association of Realtors® had their Installation and Awards Banquet. Lisa, David, and I represented SanibelSusan Realty. I picked up an Honor Society award for the 19th year (wow, how time flies). As part of our contributions to the community, local association members recently volunteered to keep Sanibel-Captiva Conservation Foundation (SCCF) signs clean. SanibelSusan adopted the SCCF entrance sign and the Habitat Management sign on San-Cap Road, so if you have noticed that they are looking a little shabby, they should be sparkling in another week. 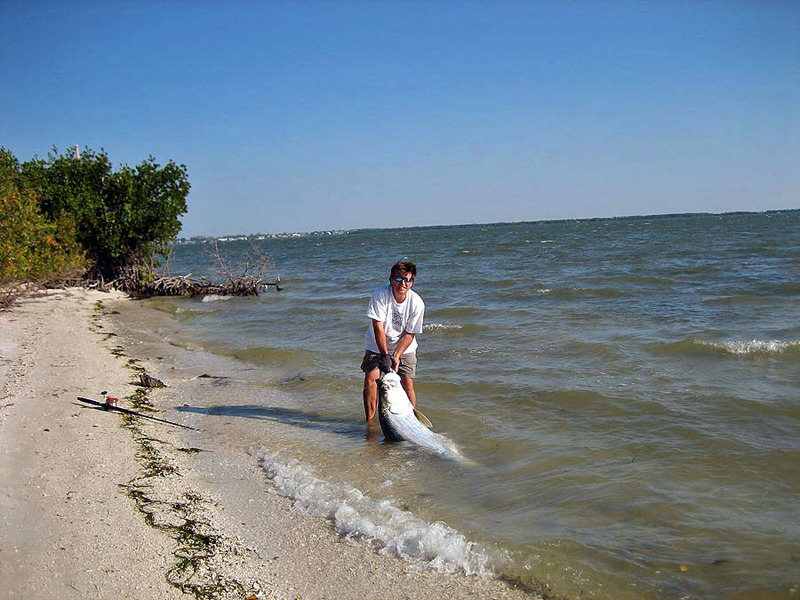 Local fishermen, members of the Fort Myers Beach Tarpon Hunters Club, and professional fishing guides along with J.N. “Ding” Darling National Wildlife Refuge and Doc Ford’s restaurants staffs, including award-winning Doc Ford novelist Randy Wayne White, just announced a “Ding” Darling & Doc Ford’s Tarpon Tournament. Slated for May 5, 2012, the event will have cable network coverage and a 100% purse. Expect to hear more about it in the weeks to come. By Presidential decree, “Ding” Darling’s Wildlife Drive will be open free of charge tomorrow, January 14, through Monday, January 16. The Refuge Education Center – which is always open free to the public – also will be open all three days, including the Martin Luther King Jr. holiday. A thought-provoking article was posted in Florida Realtors this week. The source is “As Home Prices Fall, More Borrowers Walk Away,” MSNBC.com (Jan 9, 2012): “Some homeowners who owe more on the mortgage than a home is currently worth are turning over the keys and walking away – a move known as “strategic default.” The growing number of strategic defaults across the country is alarming, particularly since many of homeowners can still afford their mortgage payments but choose to walk away anyway. “In 2010, about 30% of mortgage defaults were from homeowners who could afford to make their payments – that’s up from 22% in 2009, according to a 2011 survey conducted by finance professors Paola Sapienza at Northwestern University and Luigi Zingales at the University of Chicago. “A recent study commissioned by the Mortgage Bankers Association likens the rise in strategic defaults to the spread of a disease. The longer the housing crisis goes on, the more other homeowners will be tempted to walk away, the study concludes. “As fundamentally social animals, humans consciously (and subconsciously) look to their peers when forming opinions, habits and behaviors,” according to the report. “Strategic default has come down to an ethical question for some homeowners. “Guilt and morality are one side, and objective financial analysis are on the other side,” said David Martin, 68, who has considered walking away from a Seattle condo he owns with his wife because the condo is worth about $60,000 less than the balance on their mortgage. “They’re coming to two opposite conclusions. I wonder how many other people are struggling with the same question.” Martin and his wife have decided to stick it out, however, hoping for a rebound in housing prices in 2013 as they continue paying their mortgage. We saw a reduction in the number of showings this week which is typical after New Year’s week visitors go home, still had fairly good action though. I showed entry-level condos one day and finally got a condo sale together after a few weeks of negotiation. Lisa and David also had an excellent turn-out at our Caravan Open House in Seagull Estates yesterday. This observation may be premature, but I am thinking that in certain areas/property types, we are beginning to see fewer new listings and more sales. Wouldn’t it be great for demand to finally eat up some of the abundant supply? 4 new listings: Sanibel Arms #D2 1/1 $229.5K, Sanibel Moorings #1512 2/2 $429K, Sea Pines #D 3/3 $499K, Loggerhead Cay #583 2/2 $569K. 5 price changes: Sundial #H108 1/1 now $249K, Lake Palms #7 2/2.5 now $299K, Loggerhead Cay #432 2/2 now $459K, Compass Point #213 2/2 now $579K, Sanctuary Heron #2B 3/3.5 now $610K, Surfside 12 #C4 3/2 now $825K. 5 new sales: Sundial #G206 1/1 listed for $279.9K, Blind Pass #G102 2/2 listed for $389K, Loggerhead Cay #422 2/2 listed for $422.5K, Loggerhead Cay #513 2/2 listed for $899K, Plantation Village #B122 3/3 listed for $1.895M. 2 closed sales: Colonnades #10 1/1 $160K, Loggerhead Cay #422 2/2 $422.5K, Tarpon Beach #201 2/2 $572.5K. 3 new listings: 1610 Sabal Sands Rd 3/2 $534.9K, 1170 Sandcastle Rd 3/2 $619K, 5820 Pine Tree Dr 2/2 $695K. 8 price changes: 2130 Sunset Cir 3/2 now $569K, 9454 Calla Ct 3/2 now $618,816, 557 N Yachtsman Dr 4/3 now $729K, 4960 Joewood Dr 4/3 now $799K, 1111 Schooner Dr 3/3 now $899.9K, 919 Almas Ct 3/2.5 now $1.225M, 4630 Rue Bayou 4/4 now $1.285M, 760 Periwinkle Way 3/2.5 now $1.499M, 1310 Seaspray Ln 5/4.5 now $3.695M. 9 new sales: 9003 Mockingbird Dr 5/4 listed for $499.9K (short sale), 1773 Bunting Ln 3/2 listed for 579K, 935 Lindgren Rd 3/2 listed for $599K, 244 Christopher Ct 3/2 listed for 599.9K, 450 Sea Walk Ct 4/3 listed for $624.9K, 1019 Lindgren Rd 3/2 listed for $739K, 970 East Gulf Dr 3/4.5 listed for $763K (short sale), 3746 West Gulf Dr 4/4.5 listed for 1.249M, 598 Kinzie Island Ct 3/3.5 listed for $1.595M. 3 closed sales: 1797 Serenity Ln 2/2 $285K (our listing), 1436 Sandpiper Cir 2/2 half-duplex $300K, 1123 Sandcastle Rd 3/2 $500K. 1 new listing: 1226 Isabel Dr 1.8M. 1 new listing: Tennis Villas #3121 1/1 $225K. 1 new listing: 56 Sandpiper Ct 2/2.1 $699K. 1 price change: 11516 Andy Rosse Ln 6/6 now $2.345M. 3 new sales: 16891 Captiva Dr 3/2 listed for $1.389M, 11531 Andy Rosse Ln 4/4 listed for $1.4999M, 16205 Captiva Dr 4/4 listed for $1.795M, 16742 Captiva Dr 3/3 listed for $2.795M. 1 closed sale: 11537 Andy Rosse Ln 4/4 $1.975M. 1 new sale: 11515 Gore Ln listed for $595K. Whether you are off to enjoy a 3-day weekend or not, here’s hoping it’s a good one. SanibelSusan will be open to help you with your island real estate needs every day!